We love selling genuinely Irish made products , but particularly from Donegal. Eddie Doherty a weaver from Ardara in County Donegal learnt the art of handweaving when he only 16 years old. Now, 40 years and two long stints with large Irish fabric companies later, he uses Donegal wool to handweave pure wool blankets and tweed at his home in Ardara. Using a loom of which there are only 2 in operation in Donegal , Eddie weaves the most amazing Donegal Tweed throws. Eddie has a lovely shop where you can see him weaving his beautifully made tweed throws as well as waistcoats and capes and scarves. Each large throw can weigh up to 2 kilos and can take a number of days to make. 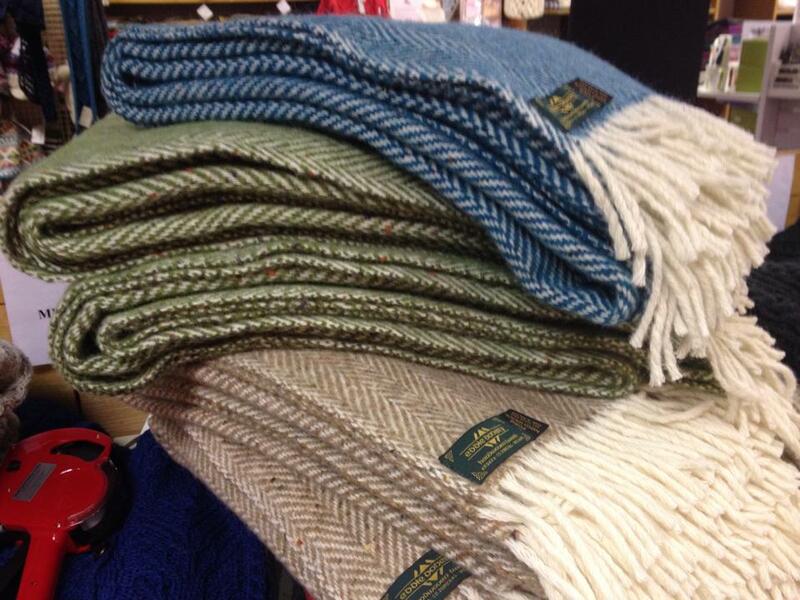 We find the earthy browns and greens to be most popular colours in the throws.